The other day I woke up to cheeky email from Origins with an amazing offer that they had on and I literally jumped out of bed and placed an order there and then, which arrived a few days ago. So I thought i’d show you guys what I ordered. I’d been wanting to get my hands on the Origins GinZing™Moisturiser for quite sometime after using up a few mini samples, but for some reason I decided to wait and i’m so glad I did. 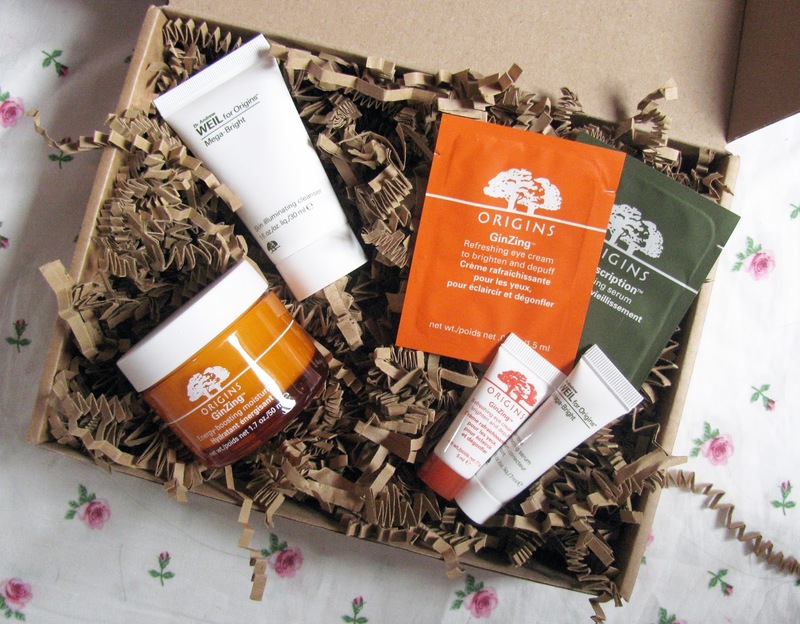 At the moment, Origins have an amazing offer on where, when you purchase any skincare item you can receive three deluxe samples of your choice. You can read more about the offer here. As you can see I took the plunge and ordered the Origins GinZing™ Moisturiser, which i’m so happy with. If you don’t already know, this moisturiser is an energy-boosting that instantly hydrates and revs up the skins radiance and it smells of zingy oranges.. sounds amazing right? I’ll be reviewing this very soon for you guys. Next are the samples that I received, now I opted for the ‘Dr. Weil’s Best Brighteners’ deluxe samples which included the Dr. Weil Mega Bright Skin Illuminating Cleanser, Dr. Weil Mega Bright Skin Tone Correcting Serum and the GinZing™ Eye Cream. These three products i’ve been wanting to try for a while, especially the GinZing™Eye Cream and as Origins can be a little pricey i’m glad i’m able to try out these products before taking the plunge and purchasing the full size products. Also, as this was my first order I got free delivery and I got to choose two more samples at the checkout, so I picked another GinZing™ Eye Cream sample for when I use up the other and a Plantscription™ Anti Aging Serum, which I might give to my mum. So all in all, i’m pretty impressed with Origins so far, i’m definitely going to take advantage of their next offer seeing as this one was soooo good! What Origins products have you got your eye on?